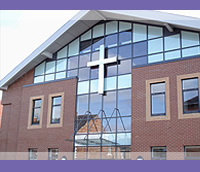 Heaton Baptist Church: This project involved designing and installing sound & video systems throughout the new halls and sanctuary as part of a £1M rebuild project. Working alongside the church, architect & builders we took the project right from the initial specification & design to installation and handover. CMS Head Office: The Church Missionary Society is based in new offices in Oxford. They include a number of training & conference rooms & a chapel. I designed and managed the installation of highly flexible sound and video systems across the building as part of the refit when CMS moved in. We are live event specialists who also install permanent systems. Everything we install, we have used or would use commercially. We know how it works; how to install it properly, and make it sound and look great because it's what we do every day in venues across the world. And here is one we are working on! 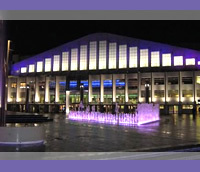 Wembley Arena: During the Wembley arena re-fit, AC lighting was appointed to install sound systems in all restaurants and backstage areas. This was subcontracted to Re:Creation sound who appointed me to oversee the install. The project was big, the schedule very tight, and we had it all in and working on time. 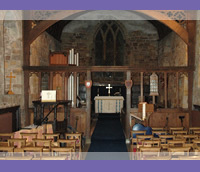 St Matthew's Worthington: This 12th century village church required a high quality, discrete PA system suitable for both speech and a small band. The system we provided included a 12 channel Soundcraft mixing desk, CD, radio microphones, cabling to stage, and two very discrete good quality speakers. 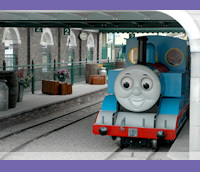 Thomas Land/Drayton Manor Park: During the January of 2009 I was involved in the design and delivery of the sound elements of this major visitor attraction. Leading the team installing the sound systems we put in over 120 speakers for background and spot sound effects across the site. We supply and install sound, stage lighting and video projection systems. Whether you are a church, school, community hall, restaurant, business, pub or club, you want to make sure you get the right system for the job. Technical equipment can be a significant investment, so it’s important that the installation is appropriate for your needs and gets the best value out of your budget. Our live event experience enables us to design systems based on an understanding of using systems in the real world. 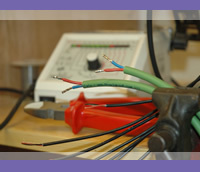 We provide a quality & bespoke service, designing and installing systems to the highest standard. We do not just “shift boxes” but specify the equipment that will best suit your needs. All our installations include user training to ensure that you understand how your system works, in order to get the best out of you new investment. We offer a 12 month warranty on all installations and where possible will provide loan equipment if any hardware needs repair within this 12 months. Mike was very knowledgeable and provided a fantastic, personal service at a very competitive price against a complex scope of work including Audio, Visuals and Data over an old building and a modern 3 floor extension. He has also given us fantastic advice about how to use the new systems to their full potential.